Former civilian Gru, his twin brother Dru and the dancing evildoer Balthazar Bratt are hiding in the corridors of the Labyrinth, along with many hilarious Minions. How will you find them? 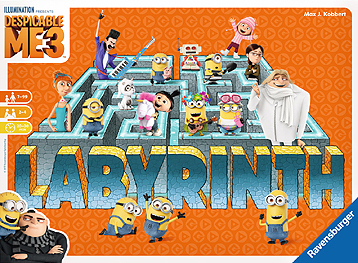 Simply shift the Labyrinth paths move your playing piece, and find the "Despicable Me 3" movie stars. Labyrinth - the mysterious maze game.